2003 Seahorse Marine Diesel Duck 44. 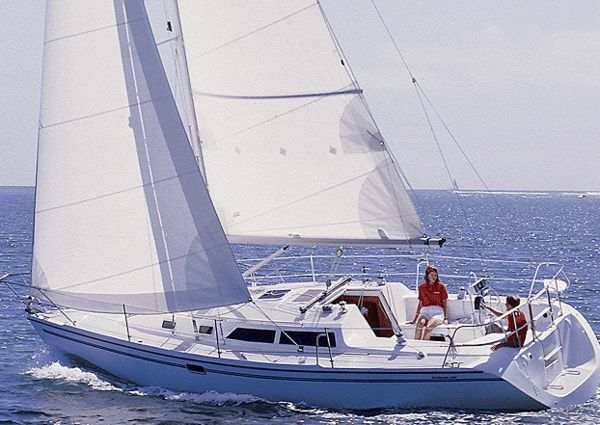 These incredibly well made motor sailers are designed to take you wherever you wish to go in great comfort and safety. 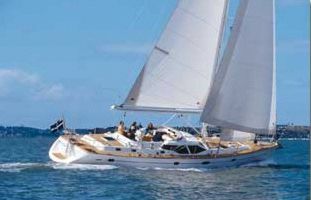 A real offshore cruising yacht with ocean crossing capability also ideal for Med cruising/live aboard. Low running costs with all of the comforts of home and ready to go. The Diesel Duck 44 layout comprises of a bridge deck with a full size chart table, helm position with all necessary electronics and settee seating with table. Sliding doors close out the bad weather. Aft is the master cabin with a queen size bed, plenty of wardrobe and drawer storage, desk and an en-suite shower and toilet. 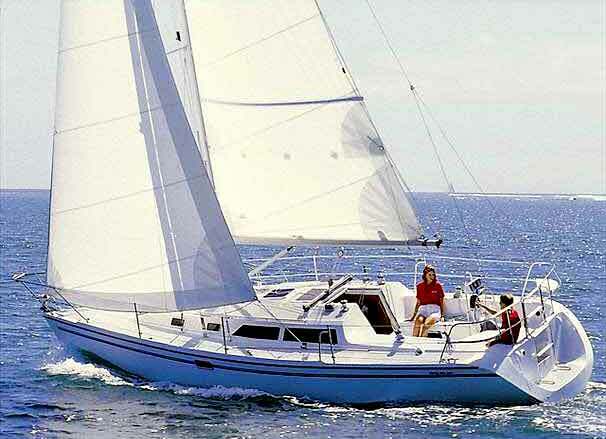 Forward is a fully fitted galley including washing machine, a large fridge and drawer freezer. There is a gas hob and the oven is a combined oven/microwave grill. The guest cabin (bow section) has twin single berths and drawer and cupboard storage. On deck the aft deck has a hard top which includes lighting and provides great relief from the sun. Side sun screens are fitted. 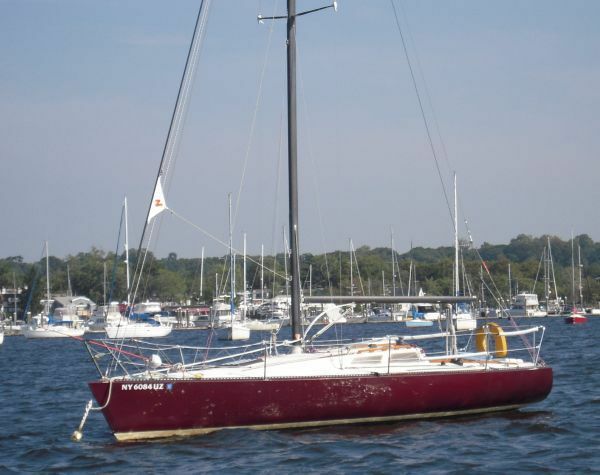 The rig is a standard Bermuda rig main/foresail arrangement with the jib on a roller, which allows her to use the wind 'downhill' to provide a help with fuel efficiency which also has a stabilizing effect which reduces rolling in cross seas. Stabilisation is by 'Flopper Stoppers' which work very well at sea or at anchor. Anchoring is with a 50Kg Bruce anchor and 100 meters of chain. There is also Fortress back-up anchor and a heavy weight folding fisherman anchor for emergencies. There is a secondary chain for the second anchor. This Seahorse Marine Diesel Duck 44 is powered by a single 120HP John Deere diesel which averages about 5.5/6.0 litres per hour at a cruising speed of 6.5-7 knots. This boat has been fully maintained and updated over the years, with no expense spared and has an extensive list of spares. John Deere 125HP 4045TFM - 4100Hrs. Additional Exterior Mounted Oil Filter. 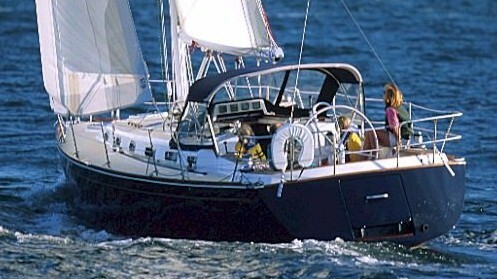 Fuel consumption at 7 knots - Approx 1.7 Gals US/Hour. Fresh Water Tanks: 300 Gals US Approx 1135 Litres . Fuel Tanks: 1200 Gals US Approx 4550 Litres. 4 x Fuel tanks, with Fuel polishing and Fuel Transfer Pump. Holding Tanks: 60 Gals US Approx 225 Litres. 1 Double Berth - Master cabin, Aft. 2 Single Berths - Guest Cabin, Fwds. 1 Pilot Berth on the Bridge Deck. Heads: 2 (Electric Toilets with F.W. Flush). Showers: 2. 1 Independent Fwds. 1 Incorporated in the aft heads. Instruments - BandG Hydra 2000 - Log/Depth/Wind. Autopilot - B and G Hydra and ComNav Backup). Compass - Furuno SC50 GPS/Gyro. All NMEA capable equipment interfaced. Engine Room Monitor and Camera. Tank Tender Fuel and Water gauge (Not Electronic). Clocks and Barometer (Not Electronic). Philips 21" Monitor (TV Screen). 2 x Tecma Electric heads with to fresh water flush. 3 x Electric bilge pump. 2KW Hot water tank also connected to the main engine. Sea Water, Deck Wash Pump. 2 x Air conditioning - Mermaid Marine. Heating system - Webasto DBW2010 with 3 Fan Radiators. Hob - Force 10, 3xBurner Gas. 220-240VAC 50Hz Single phase. (Can be converted to 110VAC 60Hz. 12V DC with Stirling Alternator regulator on the Main Engine. 4 x 145 Gel Batteries - Domestic (2009). 1 x 135 Gel Battery - Engine and Generator (2015). 4 x 70watt Solar Panels. Blue Sky Solar Panel Regulator. Generator - Westerbeke 5.7KW (220VAC/50Hz) - 940 Hrs. Village Marine - No Frills NF600 25 Gals US/Hr (100 Litres). Electric Windlass - Muir Cheetah with foot switches and helm control. Approx 90 meters Galvanised Chain (Main Anchor). Approx 30 meters Galvanised Chain + Rope. (Second Anchor). Main Anchor - 50 KG Bruce. 2nd Anchor - Fortress FX-55. 3rd Anchor - Folding Fisherman Type Anchor (Approx 35KG). Flopper Stoppers with Spare ‘Fish’. Two Gas bottles of domestic dimensions with regulators. This boat is lying in Korinthia, Greece.